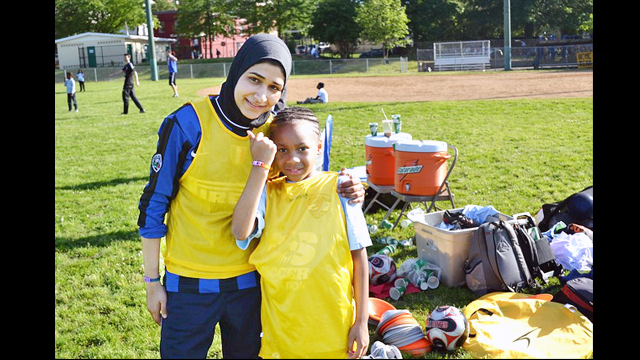 An Egyptian soccer coach poses with another participant at a United for DC volunteer session. 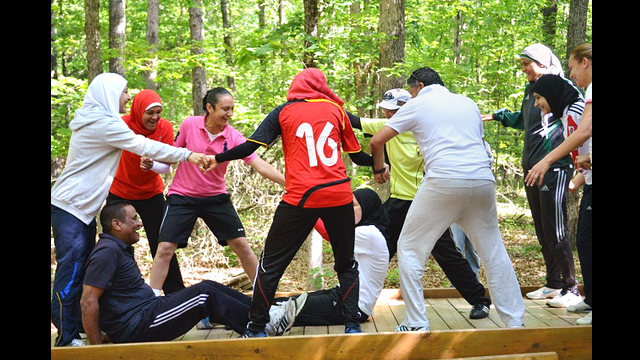 The Egyptian soccer coaches took part in strategy and sports sessions at the EDGE Ropes Course in Northern Virginia. 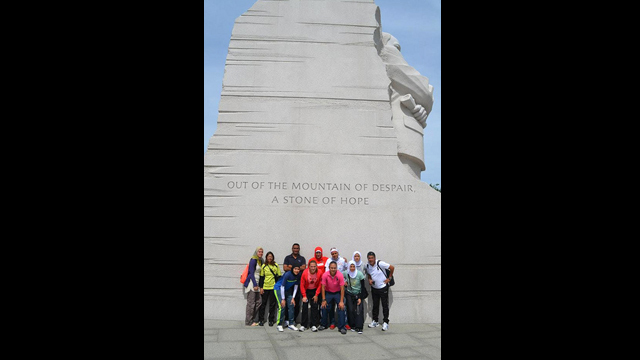 Coaches do team-building activities during a Global Game Changers session. 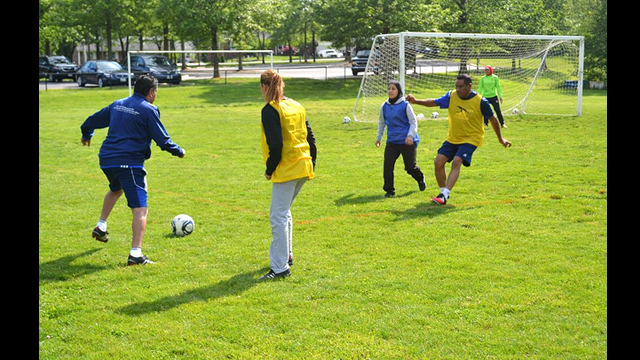 The Egyptian soccer coaches participate in scrimmages and drills with Coach John Hermina. 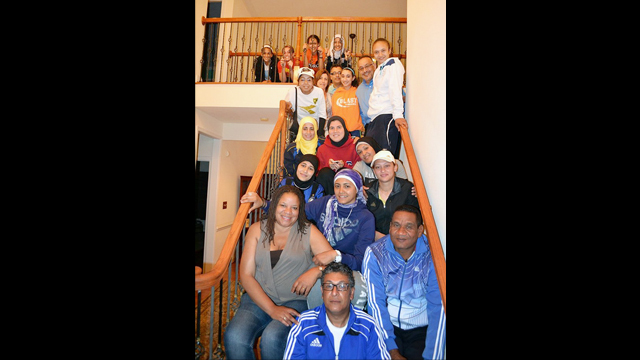 Egyptian soccer coaches were invited to their first dinner in an American household. 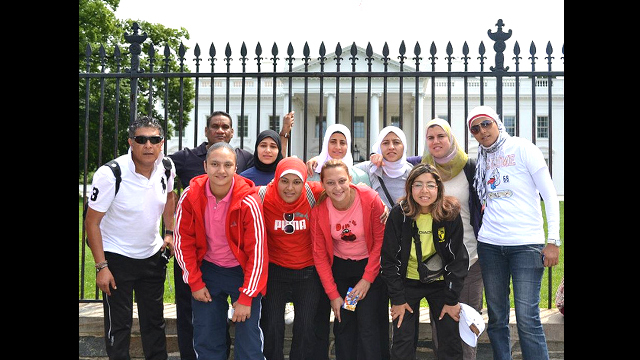 The Egyptian coaches pose together at the White House. 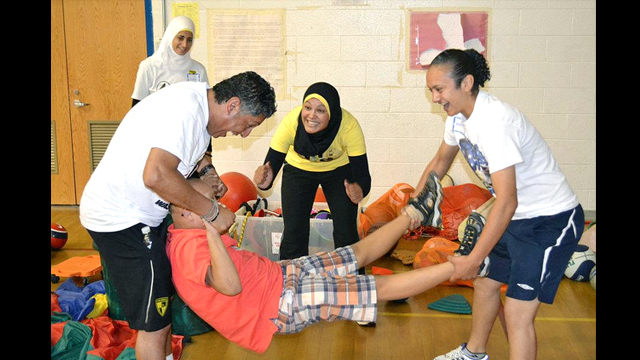 Egyptian soccer coaches engage in sports and disabilities activities. 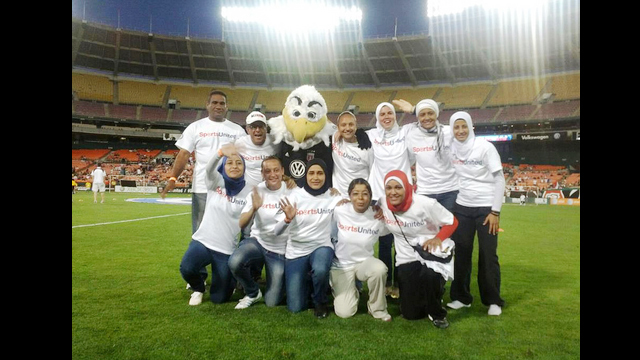 The Egyptian soccer coaches attend a DC United game.